Last week we had our last bit of winter here in Florida. It got all the way down to the 30s and today it’s feeling much more like summer again (or what Floridians simply call winter). 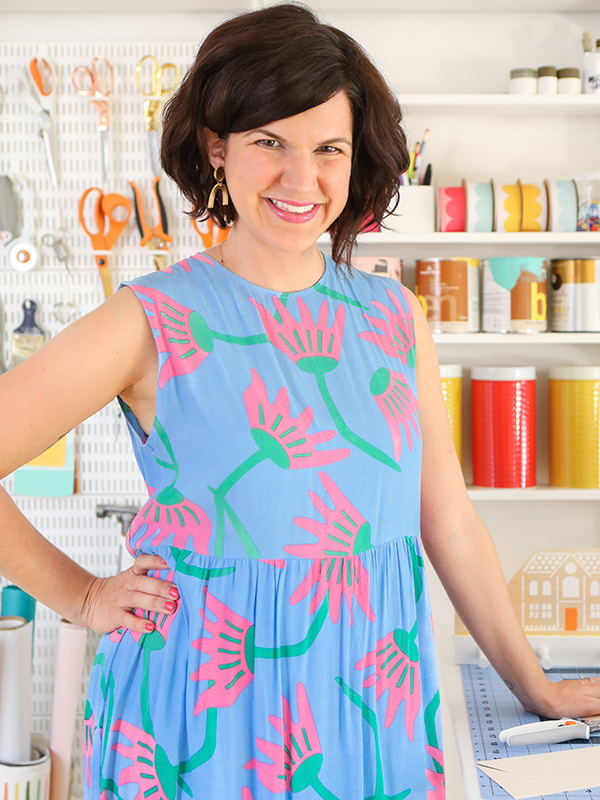 So for those of you who are longing for spring time and warmer temperatures, here’s a fun, bright tutorial that will add a bit of spring color to your wardrobe. 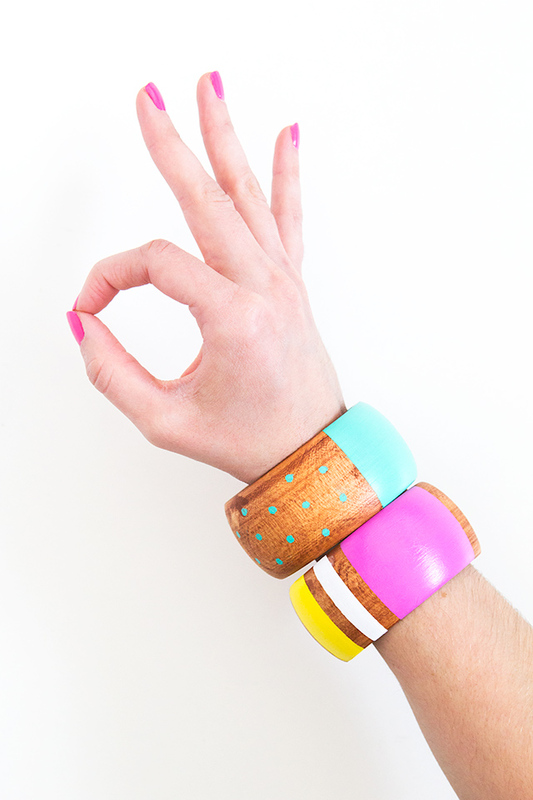 Because even if it’s chilly out you can still stack these fun painted wood bangles on your wrist! 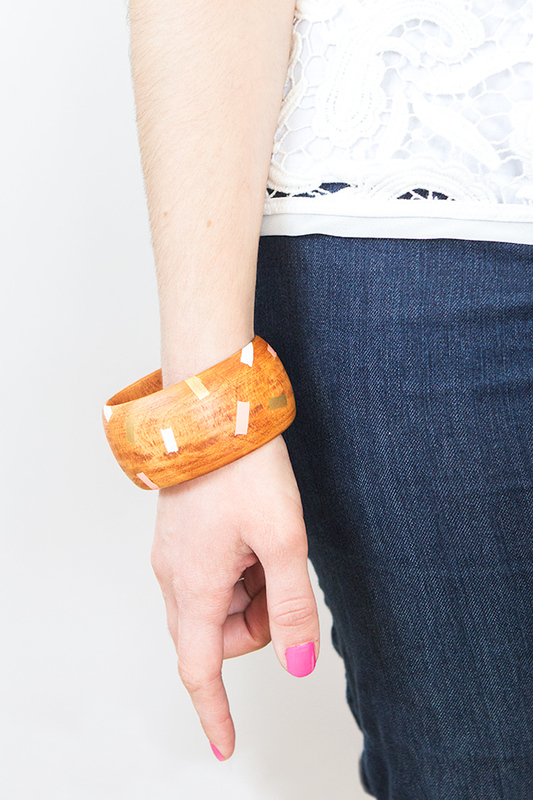 Step 1: Use a foam brush to apply wood stain to all sides of an unfinished bangle bracelet. Brush in the direction of the wood grain. This is a little messy. If you get any on your hands you can use nail polish remover to get it off. Step 2: Use a paper towel to remove the excess stain. Let it dry 1 hour (or according to the direction on the stain label if you’re using a different one). 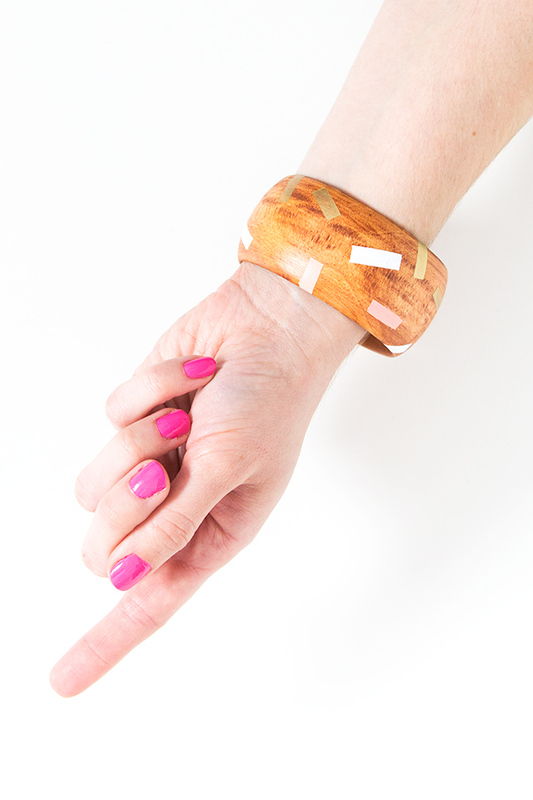 Step 3: Use washi tape to make your stencils making sure the edges of the tape are smooth and firmly adhered to the bracelet. To make the color blocked bracelets shown in the first image I placed the tape on the bracelets vertically. 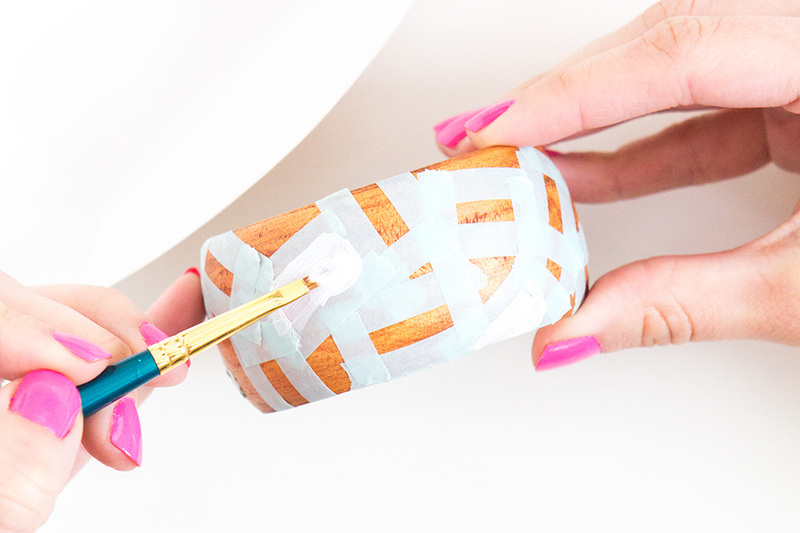 If you do this, make sure you paint away from the edges of the tape to prevent the paint from bleeding. 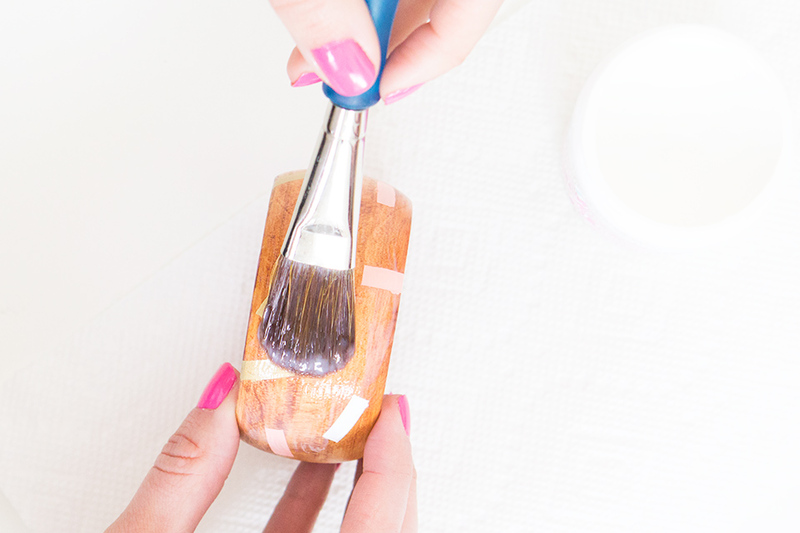 If it still does, use your nail to carefully scrape away the excess paint. Step 4: Paint the bracelet. 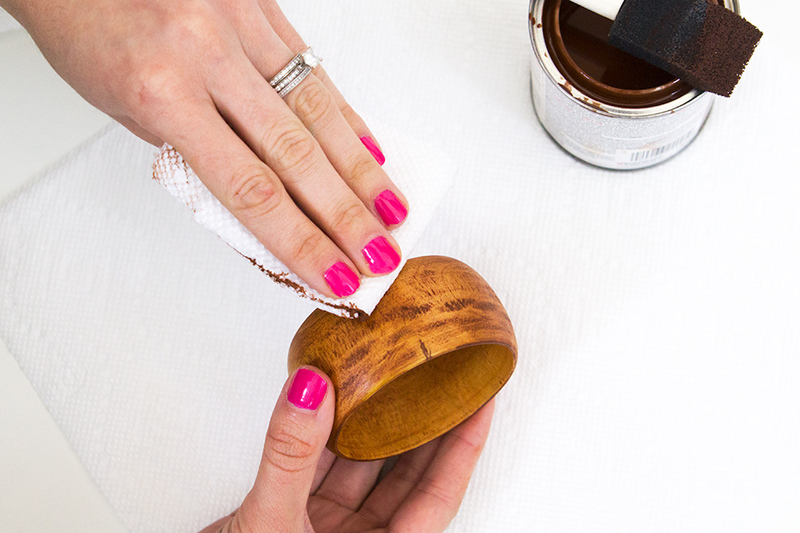 You will most likely need to apply2-3 coats to achieve a solid color. If you’re as impatient as I am you can use a hair dryer to quickly dry the paint between coats. Carefully remove the tape before the final coat of paint is dry then allow it to dry completely. 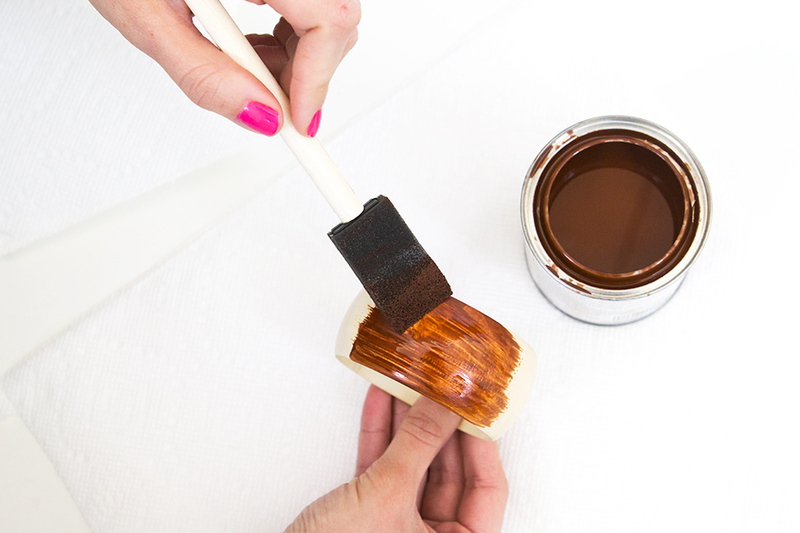 Step 5: The final step is to apply the gloss finish with a soft brush. This will give it a nice sheen and help prevent the paint from chipping. 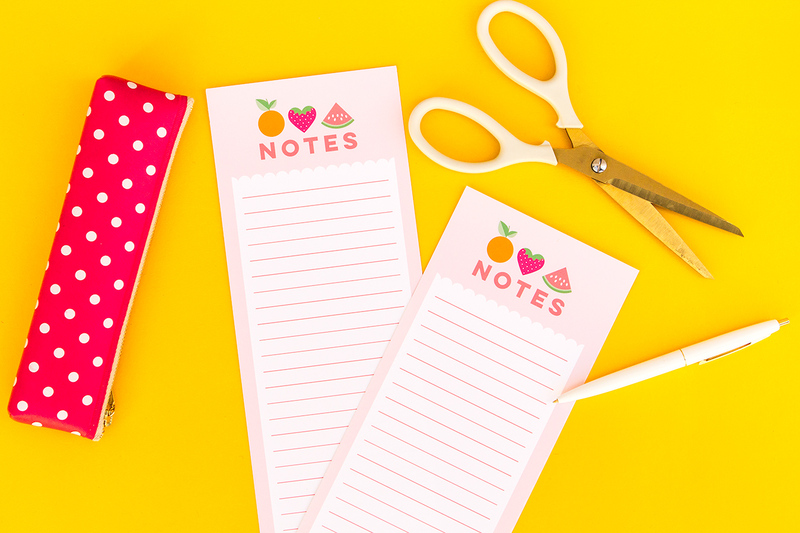 To make the polka dots on the polka dot and color blocked bangle, I made tiny stencils by punching holes into stencil material using my 1/8″ hole punch and placing them on the bracelet in a polka dot pattern. Love bangles? 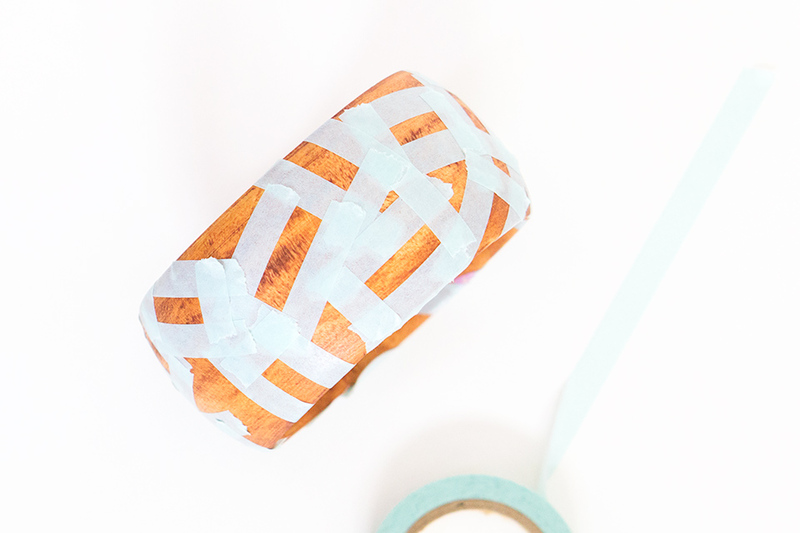 Learn how to make your own fabric wrapped version in my previous video tutorial. I love this craft! The confetti/sprinkle bangle is just amazing! Thanks Jordan! That one is my fave too! Oh these are so great Sarah! I want a whole arm of these! Thanks Rachel! I thought you’d like them!